Inherited metabolic disorders (IMD), as the name suggests, are genetic conditions resulting in metabolism issues. The root cause behind maximum cases of inherited metabolic disorders (IMD) is a gene mutation that probably happened a lot many generations back. The mutation in the gene is carried through the generations. Treatment of inherited metabolic disorders (IMD) consists of dietary supplementation, dietary restrictions, drugs that thwart or regulate metabolism, gene therapy, transplantation of the concerned organ, and dialysis in extreme cases. 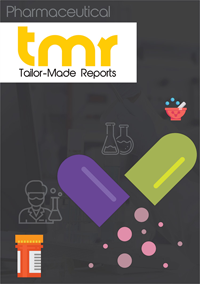 Currently, the dietary supplements account for a leading position in the global inherited metabolic disorders (IMD) treatment market. Drug manufacturers, however, are slated to come up with more condition-specific therapeutics in the near future. The specificity and high risk affinity of IMD differs from disorder to disorder. Some disorders such as familial cylomicronemia are generally associated closely with Caucasians, while others, namely porphyria is mostly recorded among African Americans. Most of such metabolic disorders are be brought under control with certain changes in the diet and lifestyle of the person. Some inherited metabolic disorders (IMDs) are, however, life threatening. Huntington’s or Zellweger syndrome is to name one such. The inherited metabolic disorders market lies mostly with the Caucasian and African American populations of world, especially in North America, Europe, Australia, and Africa, followed by the minority populations from South Asia and East A. At present, genetic screening using mass spectrometry and DNA testing among all newborns are carried out in almost all of the developed nations of the world and also in developing economies of India, Brazil, and China. This helps uncover inherited metabolic disorders (IMD) at an early stage. Globally, IMD affects nearly one in every 2,500 to 5,000 individuals with nearly 300 to 600 new cases found in the U.K., according to Public Health Genetics U.K. The specificity and high risk affinity of IMD varies from disorder to disorder, with some disorders like familial cylomicronemia being closely associated with Caucasians and others like porphyria being recoded largely among African Americans. These metabolic disorders are often controllable with certain lifestyle and diet changes, including Familial Cylomicronemia and Phenylketonuria. But some IMDs are highly dangerous and may affect the survivability of a person, such as Huntington’s or Zellweger syndrome. A lot of IMDs arise when the mutated gene responsible is inherited by the natural selection process and a large number of these genes are recessive. This is probably why a large number of these metabolic disorders are rare occurrences, whereas certain other genes are dominant in nature; this makes it difficult for a willing parent to conceive a child as the risk for transferring a gene remains high (e.g. Huntington’s). Familial chylomicronemia occurs when an individual genetically inherits Lipoprotein lipase enzyme mutation. This is a very rare genetic disease at occurrence rate of 1 individual per million with chances of symptoms occurring only in homozygous individuals (receiving mutation genes from both parents) or in other words recessive gene transmission. Nowadays, genetic screening via mass spectrometry and DNA testing of all newborn children are done in nearly all of the developed countries and also some developing countries of the world, including India, China, and Brazil, albeit across a small percentage of the national population. This prepares a parent and the child with the necessary precautions and treatment for increasing the longevity of the concerned newborn. The life expectancy of such a child with all the necessary care and precaution is at par with the average individual. However among many adult populations and in some children, rare genetic metabolic disorders are abruptly presented and often not accurately diagnosed. In such individuals, abnormal metabolic changes are considered to be a type of genetic mutation in routine diagnosis. Symptoms such as growth failure, precocious puberty and development delay in children below 12, and anemia, neurological disorder, cancer, muscle weakness, rapid hormonal changes, and skin changes in adults, are regarded to probably have a genetic metabolic cause. The treatment of IMDs is broadly classified into dietary restrictions, dietary supplementation, drugs that inhibit or regulate metabolism, transplantation of the concerned organ, gene therapy, and dialysis in severe cases. In the case of familial cylomicronemia, gene therapy includes Alipogene tiparvovec recombinant gene therapy drug, manufactured by UniQure Inc. This therapy utilizes viruses (adenovirus vector) designed in such a way that upon infection, the gene for producing the lipoprotein lipase is induced into the host cell, thereby producing the enzyme in-vivo. This therapy has shown positive results and is expected to be released into the market soon. For now, the global inherited metabolic disorders Market lies broadly in the dietary supplements market. The overall estimated global populations of IMD individuals lie in few millions. The niche category of this segment gives little market for specific condition-related products. However, the implications of therapy are huge as some treatments have the potential to completely eradicate these disorders. Several suitable models have been considered for the treatment of hypercholesterolemia and dyslipidemia, which can in turn alter the outcome of cardiovascular diseases to a bare minimum in the future. For now, the inherited metabolic disorders is open for limitless possibilities. The inherited metabolic disorders lays primarily with the Caucasian and African American populations of world, especially in North America, Europe, Australia, and Africa, followed by the minority populations from South Asia and East Asia.